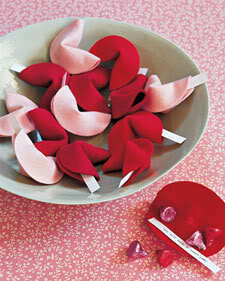 They're cute for Valentine's Day, but in a different color scheme, they'd also make a unique favor for an Asian-inspired party or wedding. And with a glue gun, I think they'd be pretty quick to crank out. Where, oh where, did the weekend go? And for that matter, where did January go??!! Happy last-day-of-January!